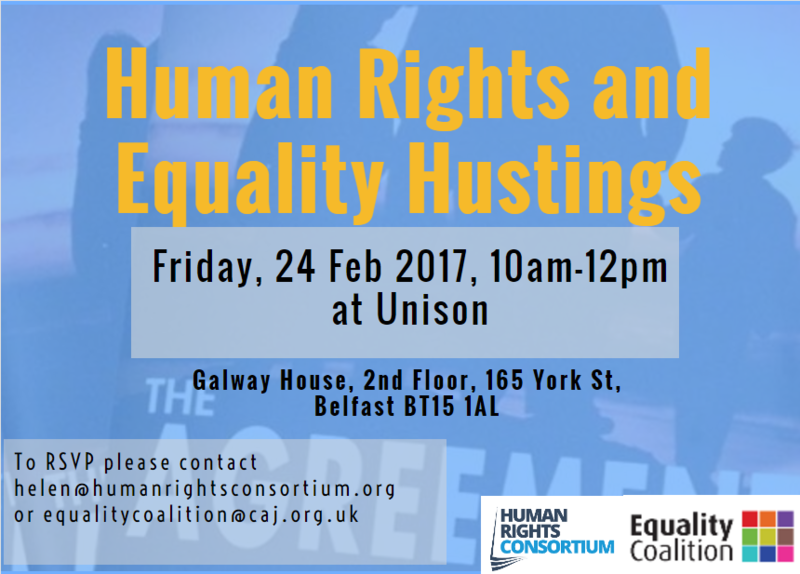 The Consortium and the Equality Coalition will hold a sectoral hustings on 24 February from 10am-12pm in Unison Belfast. The hustings will focus specifically on human rights and equality to allow people to engage with representatives on these issues. We would encourage you to attend this event to highlight the core human rights and equality issues in your own area of work or life. Please let us know if you can attend, and where possible also share information about the event through your networks.